The human body has a "thermostat" in the hypothalamus in the brain. Every person has his or her own standard temperature setting, which is typically around 37⁰C, or 98.6⁰F. When this temperature rises, people are known to be experiencing a fever. Medically speaking, this condition exists when the rectal temperature is 38⁰C, 100.4⁰F. Fevers can also cause sweating, chills, muscle pain, headaches, tiredness, thirst and a lack of appetite. Children can suffer from seizures which are fever-induced, causing their limbs to shake from side to side. This occurs in about 4 percent of all children and usually does not cause permanent damage. While fevers may seem to be an alarming event, they are actually a normal response to bacterial and viral infections. The slight increase in body temperature makes the body an inhospitable environment for these foreign microorganisms to thrive, helping the body to fight the infection. A fever can also be caused by heat exhaustion, sunburn of the presence of a malignant tumor, although all of these conditions are less common that infection. The medications used to treat bacterial infections, seizures and high blood pressure can also cause fever. A good percentage of children experience a fever after receiving a routine immunization. Practicing good hygiene (such as frequent hand washing) is the only way to prevent the viral and bacterial infections that cause most fevers. Always wash hands following toilet use, before eating and after touching animals. Contact with the mouth, nose and eyes should typically be avoided when possible as germs can easily enter the body through these openings. Some fevers precipitate a trip to the doctor. These include any temperature changes in an infant, and a fever higher than 38.3⁰C (101⁰F) that lasts more than three days in a child who is older than two years, or a fever over 40⁰C, or 104⁰F, in an adult that lasts more than three days. 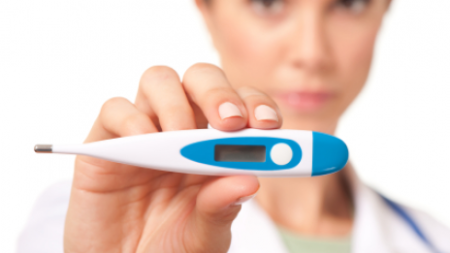 Fever can easily be diagnosed at home with a thermometer. The body's temperature can be taken in the inner ear, orally or rectally. When a physician is visited for a fever, he or she may also perform additional tests to determine the cause of the fever. These tests can include physical exams, requesting the patient's medical history, taking blood and urine tests or conducting chest x-rays for more information. Consult a physician immediately for fever in a newborn or young child, as the fever may indicate a life-threatening condition such as meningitis, particularly when the fever is accompanied by irritability, increased crying or listlessness. The most common medications for fever are ibuprofen, aspirin and paracetomol. Children should never be given aspirin as it can cause a serious condition called Reyes syndrome. Sponge baths using lukewarm water can also help to lower body temperatures. Drink lots of water, juices or sports drinks containing electrolytes to replenish lost fluids. If the patient is not hungry while under the influence of a fever, they do not need to eat for short periods of time. However, because fluids are important, good choices are water, herbal teas, soups and broths. When the appetite returns, eat fresh fruits and vegetables, fish and lean chicken. Saturated fats and sugars may cause nausea after a fever. Some multivitamins may also cause nausea during fevers. However, taking vitamin B6 at 30 mg twice a day can help with the nausea which may accompany a fever. Taking between 500 and 1,000 mg of activated charcoal a day can also be helpful for this type of nausea. 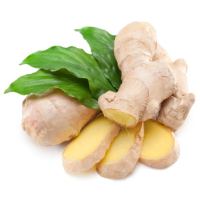 Ginger - This herb can alleviate many gastric flu symptoms, including fever and inflammation. It also may help with aches and pains. Pregnant women should not take more than 1 g of ginger a day. Elderberry tincture - Taken three times daily, this her can fight viral infections. Yarrow - When taken in capsule form, yarrow induces sweating and can help break a fever. Peppermint tea - Mix 1 to 2 drops of peppermint oil into lemonade or other juices, or drink peppermint tea. This tea should not be consumed if the individual has acid reflux or is pregnant. As with any medical condition, see a physician or other medical professional if the condition persists or the patient seems to become worse day after day.